The National Nutrition Week will be observed throughout the country from 1st to 7th September. Theme: The theme of the National Nutrition Week for 2017 is “Optimal Infant & Young Child Feeding Practices: Better Child Health”. Objective: The basic objective of this annual event is to intensify awareness generation on the importance of nutrition for health which has an impact on development, productivity, economic growth and ultimately National development. During this week, the Food and Nutrition Board of Ministry of Women & Child Development will coordinate with concerned Department of the State/UT Governments, National Institutions, NGOs and organize State/UT Level Workshops, Orientation Training of Fields Functionaries, Awareness Generation Camps, Community meetings during the week on the specified theme. Large numbers of State, district and village level activities are being organized during this week. One day workshops will be held to sensitize and for capacity building of State/Districts Level officers on importance of nutrition for better health. Nutrition is an issue of survival, health and development for current and succeeding generations. Child born underweight have impaired immune function and increased risk of diseases such as diabetes and heart diseases in their later life. Malnourished children tend to have lower IQ and impaired cognitive ability, thus affecting their school performance and then productivity in their later life. It has to be realized that the nutritional health and all age groups represent say National Economic Asset. Therefore, improving the nutritional status of the population is imperative for National Development. Undernutrition in young children continues to be a major public health problem in India. The NFHS4 has not shown an encouraging improvement in the nutritional status, especially among women and children. As per NFHS-4 the level of underweight has decreased by 6.8% and is stunting by 9.6%. Level of anaemia has decreased by 11% as compared to NNHS-3 figures. BUSINESS & CLIMATE SUMMIT 2017 is being held in New Delhi. Federation of Indian Chambers of Commerce and Industry (FICCI) is organizing the third edition of BCS. The Business & Climate Summit is the leading annual forum for businesses, investors and policymakers on climate action. It is where business and governments come together to agree on a roadmap for reaching net zero emissions over the next half century. It demonstrates how low carbon strategies are good for business and good for growth – and builds the partnerships needed to scale up and accelerate the low carbon transition. The underlying theme of BCS is that the businesses hold the key to meeting global carbon reduction targets; and collaboration between business and government is critical to success. The Business & Climate Summit would be attended by Ministers, Senior Government Officials, Business Leaders, International Agencies, Banks & Financial Institutions, Senior Business Executives and Media from different parts of the world. Express business belief that accelerated reduction in GHG emissions to limit global warming to +2°C maximum is compatible with the pursuit of human, social and economic development, and their commitment to engage in this direction. Increase awareness of international policy makers about the wealth of solutions developed by companies and the conditions for deployment of these solutions. Showcase business leadership in addressing climate change, highlight how businesses can provide solutions to help governments achieve climate change objectives. India and China, in a joint proposal to the World Trade Organization (WTO), have called for elimination of trade-distorting agricultural subsidies given by developed countries. The proposal counters the efforts of some WTO member countries that are targeting the subsidies given by the developing economies to their poor farmers while letting the developed rich nations retain their huge farm subsidies. It is an important proposal by India and China in view of the ongoing negotiations for the ministerial conference of the WTO to be held in Buenos Aires in December. India and China have raised objections over developed countries, including the US, the EU and Canada, that have been consistently providing trade-distorting subsidies to their farmers at levels much higher than the ceiling applicable to developing countries. In WTO parlance, these subsidies are called as Aggregate Measurement of Support (AMS) or Amber Box support. The subsidies by the developed countries amount to about USD 160 billion. On the other hand, countries like India provide a subsistence amount of about USD 260 per farmer annually. Most of the developing countries, including India and China, do not have AMS entitlements. Besides, developed members of the WTO have access to huge amount of AMS beyond their de minimis — the minimal amount of domestic support that are allowed even though they distort trade up to 5% of the value of production for developed countries, 10% for developing. In contrast, most developing members have access only to de minimis resulting in a major asymmetry in the rules on agricultural trade. The WTO divides subsidies into amber, blue and green box subsidies. Amber box are trade-distorting subsidies, blue box are subsidies with restrictions designed to reduce distortion and green box subsidies are non-trade distorting subsidies. Direct cash transfers, coupons and subsidies that do not impact production are not considered trade-distorting subsidies and categorised as green box. Elimination of this support, “India and China believe, should be the starting point of reforms rather than seeking reduction of subsidies by developing countries. Terming farm loan waivers a “quick-fix”, the RBI has again voiced its concern, saying they will lead to a lasting adverse impact on farm productivity. In the absence of coordinated and sustained efforts to put in place elements of a virtuous cycle of uplift of farmers’ income, loan waivers have periodically emerged as a quick fix to ease their distress. Recently, states including Uttar Pradesh and Maharashtra have announced farm loan waivers adding up to Rs 1.3 trillion or 0.8% of GDP this fiscal. Increased discrimination: Loan waivers also lead to faulty targeting of beneficiaries and resultant discrimination, incentivise wilful defaulters and erode credit discipline. Deteriorating assets quality: Since waiver announcements and actual dole-out come with a time lag, in this interregnum, the quality of assets deteriorates and bridge provisions crowd out new loans. It impacts public finances via higher than budgeted revenue spends. This will have to be financed by additional market borrowings which push up interest rates, not just for the states but for the entire economy. Collateral damage: A collateral damage is that private borrowers are crowded out as the cost of borrowing rises. Even if loan waiver is accommodated within the budget, it will force cut-backs in other heads of expenditure. Therefore, these loan waivers could impact credit discipline, vitiate credit culture and disincentivise borrowers from repayment. Ultimately loan waivers involve a transfer of resources from tax payers to borrowers which can also crimp consumption redistribution. 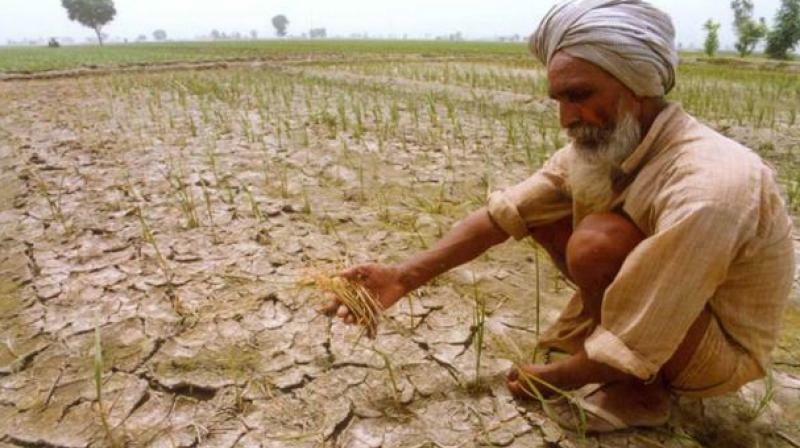 The recurring farm distress is mainly because of “perennially low investment, archaic irrigation practises, monsoon dependence, fragmented land-holdings, low tech adoption, lack of property rights and low initial networth of farmers.” All these can potentially imprison farmers in a circle of indebtedness with a disturbing frequency. There is a need for lasting solutions like building irrigation capabilities and cold storage chains, increased crop insurance coverage, farm infrastructure building, tech-enabled productivity improvement and opening the sector to market forces and open trade can also help. The Department of Biotechnology (DBT), under the Ministry of Science and Technology, had recently convened the Smart Agriculture Conclave in New Delhi, in partnership with the UK’s Biotechnology and Biological Sciences Research Council (BBSRC) and Research Councils UK (RCUK) India. The objective of this conclave was to set the stage for “FarmerZone”. What you need to know about FarmerZone? It is a collective open-source data platform for smart agriculture which will use biological research and data to improve the lives of small and marginal farmers. 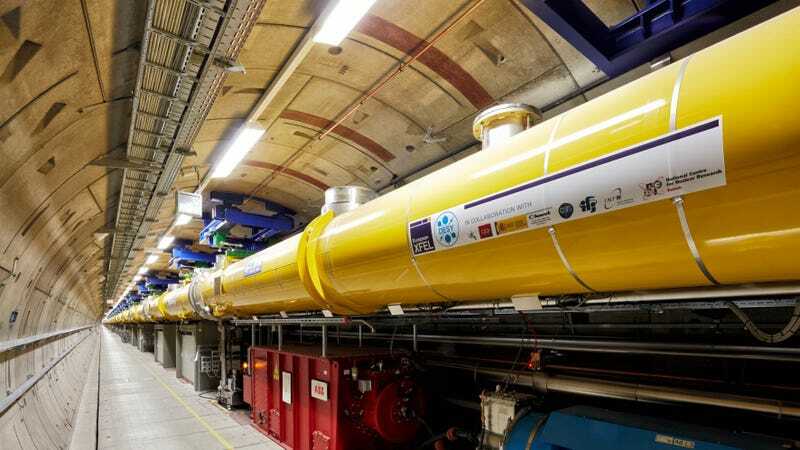 The world’s largest X-ray laser- European X-ray Free Electron Laser (XFEL)- is all set to open in Germany, promising to shed new light onto very small things by letting scientists penetrate the inner workings of atoms, viruses and chemical reactions. The 1.5-billion-euro ($1.7 billion) facility, which took 8 years to build with funding from 11 countries, has been hailed as one of the largest and most ambitious European research projects ever. It boasts a list of superlatives: the light’s brilliance is a billion times higher than that of the best conventional X-ray sources. The mega-project will generate extremely intense laser flashes, at a mind-boggling rate of 27,000 per second, inside a 3.4-kilometer (2.1-mile) tunnel up to 38 meters (125 feet) below the northern city of Hamburg. This ultrafast strobe light will allow researchers for the first time to look deep inside matter and take snapshots and films at the nano-level. The huge laser is “like a camera and a microscope that will make it possible to see more tiny details and processes in the nano-world than ever before. Teams from around the world will be able to map the atomic details of viruses, take 3-D images of the molecular make-up of cells or film chemical reactions as they happen. The applications are sweeping – images of biomolecules may help understand and treat illnesses, while a peek inside a building material might explain why it tears or cracks. The light beams can also be bundled to create extreme pressure and temperatures to study process like those at the Earth’s core. With the purpose of increasing awareness about dam safety measures in the country and finalisation of Emergency Action Plan (EAP) a stakeholders consultation Workshop was recently organised by Tamil Nadu Water Resources Department in collaboration with Central Water Commission. Delegates representing the stakeholders involved with relief and rescue operations and representatives from National Disaster Management Authority, State Disaster Management Authority, India Meteorological Department, State Health, Fire, Police, Revenue and Road Departments and Railways participated in the Workshop. Need for the preparation of EAP for each dam and involvement of all agencies in ensuring effective relief and rescue operations was highlighted during the meeting. India ranks third globally with 5254 large dams in operation and 447 large dams under construction. About 4% of these large dams (209) are over 100 years old and about 17% (876 dams) are more than 50 years old. Many of these dams are facing varying degrees of inadequacies in meeting the current standards of dam health and safety due to various reasons. What’s being done in this regard? The ongoing Dam Rehabilitation and Improvement Project (DRIP) under the Ministry of Water Resources, River Development and Ganga Rejuvenation is facilitating the rehabilitation of about 198 large dam projects in seven States, in addition to the institutional strengthening of the implementing agencies for sustainable dam safety initiatives. DRIP is a project involving 9 implementing agencies (IAs) across seven states of India (Kerala, Madhya Pradesh, Orissa, Tamil Nadu, Karnataka, Uttarakhand, and Jharkhand) and targets rehabilitation of about 225 dam projects across the country. Even though our dams are quite safe, in the rare event of a dam failure, extensive damage to property, environment and sometimes loss of life occurs. Managing the exigencies caused by a failure of a dam requires coordinated efforts of all national and States agencies. The preparation of Emergency Action Plan (EAP) for all DRIP dams is one of the important activities under DRIP. This document defines clear roles for all concern agencies as well as Standard Operating Protocols during various stage of exigencies, as well as contains all technical details about the flood waves moving downstream affecting the downstream habitation. Next story Insights MINDMAPS:”Key takeaways from Economic Survey-2″ and “Preventing Sexual Harassment at Workplace”.